An annual Flushing event will take place later this month that brings together top chefs and meat lovers for one night of charcuterie, wine tastings and awards. 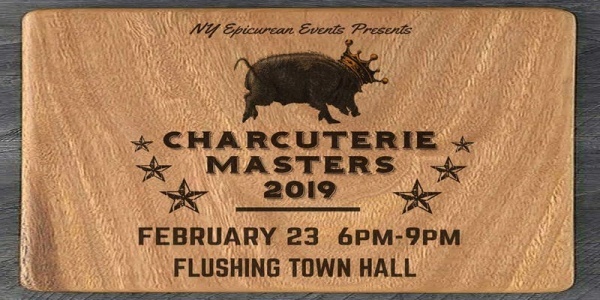 Charcuterie Masters, which organizers describe as “the meatiest night in New York,” will take place at Flushing Town Hall on Feb. 23, and will feature more than 60 kinds of artisanal charcuterie for attendees to sample, among other gourmet delights. Attendees will be able to savor cured hams including Portuguese Alentejano, Iberian, prosciutto and Bayonne, and pick up other dishes like pig bao sandwiches made from a roasting box, foie gras, and pâtés. The foods can also be paired with a lineup of wines from Brooklyn’s Rooftop Reds, beers from Mikkeller NYC, and farmstead ciders. Guests will also be treated to carving and butchery demonstrations, and can purchase many of the charcuterie and gourmet foods on display at the event. The organizers note that the event is the “ultimate” night to celebrate the Year of the Pig, which started on Feb. 5. The night will also see a tournament where dozens of chefs will vie for top honors at the fourth annual event, which include the Charcuterie Masters Awards and the People’s Choice Awards for the best charcuterie booth and restaurant. 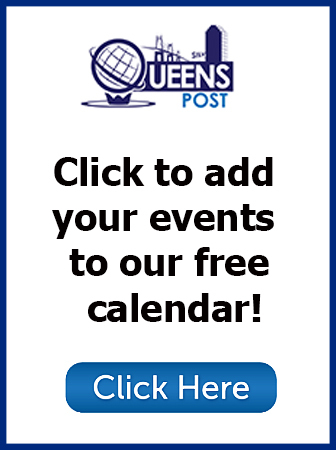 The event is a partnership between New York Epicurean Events, the Greater Flushing Chamber of Commerce and the Flushing Council on Culture and the Arts at Flushing Town Hall. “Charcuterie Masters 2019 is our community’s crowning achievement as an international destination for connoisseurs of fine food, including artisans from across the country as well as gourmet foodies from all over New York City,” said John Choe, executive director of the Greater Flushing Chamber of Commerce. General admission tickets are available for $70, while VIP tickets, which allow earlier access to the festival along with exclusive treats and charcuterie demonstrations, go for $150.